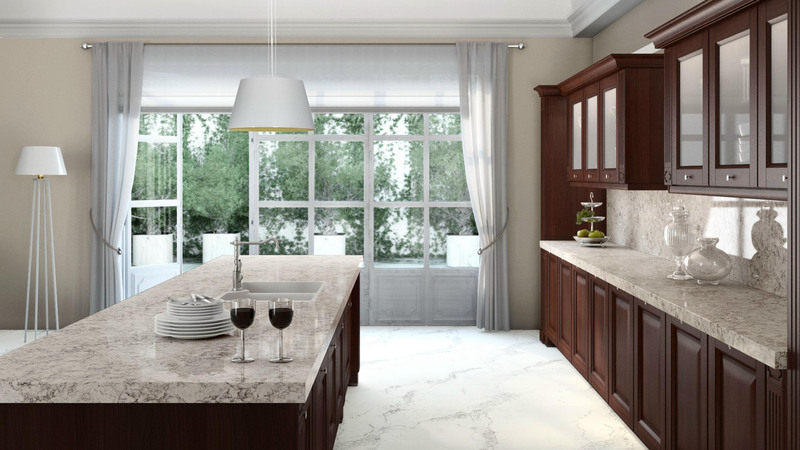 WELCOME TO WORLD OF STONE INC.
Fabricators & Installers of Quartz, Granite & Marble Countertops with over 25 years of experience in both the residential & commercial markets. 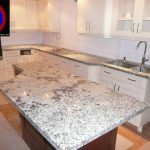 With thousands of countertops installed we have built an enviable track record in the industry, making us one of the most sought after companies in Canada. 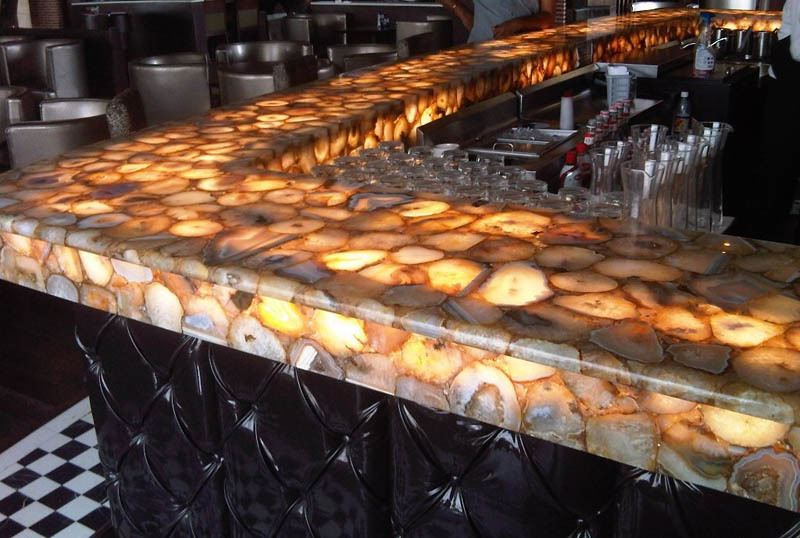 Our goal is to see your concepts right through to completion with ease, professionalism and service that goes beyond just the installation so that you can enjoy your countertop for many years to come. Your kitchen is the heart of your home. It's a place where family, friends and loved ones gather to share meals and memories. Your kitchen therefore should be functional, yet pleasant and inviting. If you love your home, but are not satisfied with your kitchen, we have a perfect solution for you! We can help you create the kitchen of your dream. “Granite countertops, created by nature and fashioned by modern technology, are an investment homeowners will never regret. 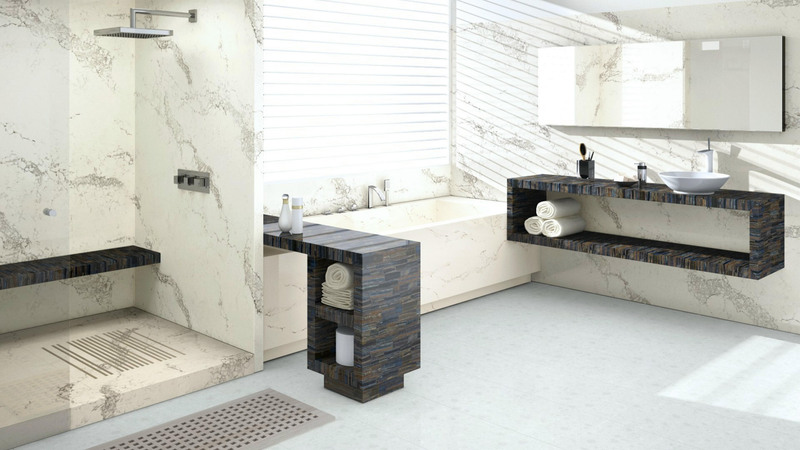 With deep iridescent colors, granite offers that elusive, one-of-a-kind beauty created only by nature. 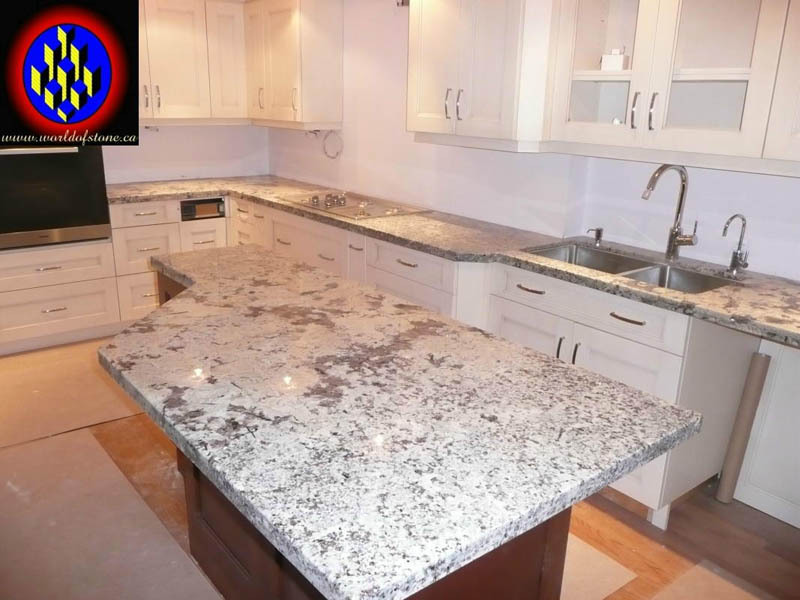 As a result, granite countertops add character and warmth to kitchens, baths, and other areas of the home with a richness that is second to none"
Quartz countertops have become an elegant alternative for those who love the look of granite but are concerned about maintenance. 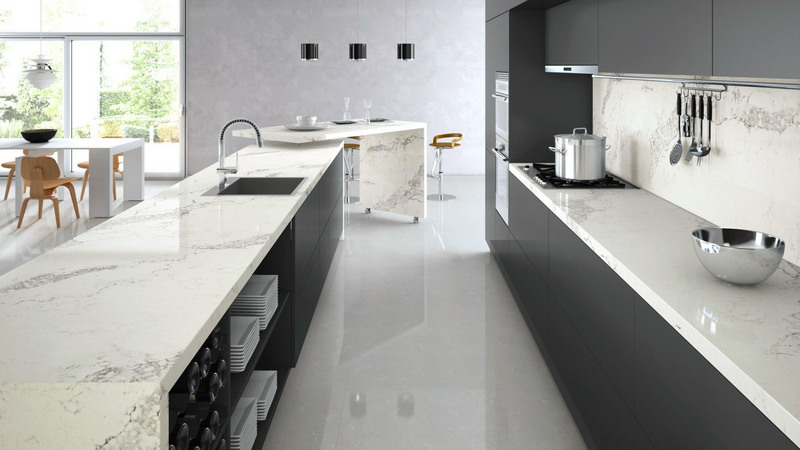 Quartz is stronger than granite, requires no resealing & is highly resistant to scratches and stains. It comes in a wide variety of colors. Visit our showroom to view samples of all the major brands of quartz colors. Intermac Master 33 CNC machine specializes in the production of countertops, offering the end user a superior finished product. 20 years since its appearance on the market, Intermac still retains a strong commitment to technological innovation and has a distinctive capacity to anticipate market trends and demands that remains second to none. Thanks to the various aggregates, accessories and to the flexibility of this multi-functional work center we are able to carry out the most difficult and demanding processing, resulting in a finished product of the highest quality which is nothing short of amazing. 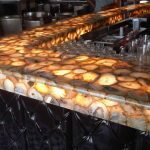 World of Stone are fabricators and installers of countertops using state of the art CNC equipment providing users with superbly finished product at a lower cost. As a direct-to-public fabricator, we invite you to visit out showroom, where you can choose from our wide selection of materials and colours to best suit your home. Thanks so much Gordon for everything. I absolutely love the countertop and thanks a million for the curve on the island. THANK YOU, THANK YOU, THANK YOU. Hi Gordon, Just a quick thank you note for our countertops. They look fabulous! Greatly appreciate all your help and support. Thanks you very much. Gordon just wanted to say thanks for the great job - your guys were great to deal with. I have no problem recommending you to any of our friends as your service; product and price can't be beat. Thanks for getting the island in one piece! Once again thanks very much.